The past 2 months have flown by so much and to be honest I'm not sure it's even properly sunk in still that I've got my powerchair. At the same time though I couldn't be without it now, it's a part of me and I'm still trying to build up my confidence but slowly I'm feeling more and more comfortable in it. For the first few weeks I mainly just went to the local shops in it whilst I got used to things but this week I finally built up the courage to hop on the bus into town for the first time. 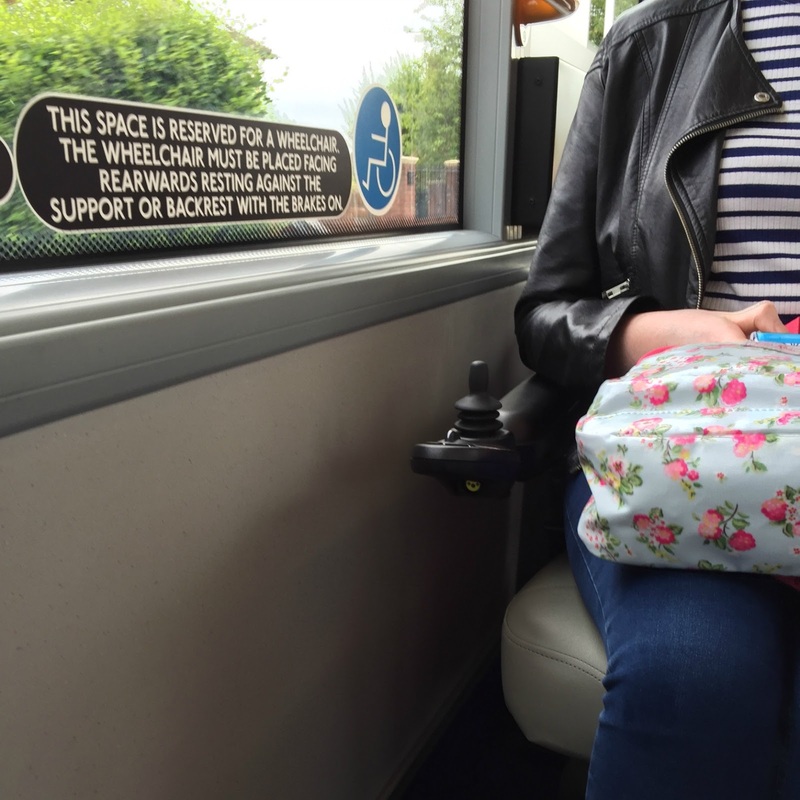 It might not sound like a big deal but trying to get the bus when you use a wheelchair can be a pretty nerve wracking thing, I worried about there being parents with prams in the wheelchair space who would refuse to move. I worried about coming across an unpleasant bus driver. I worried about people staring at me throughout the whole journey (you have to face the rest of the bus when you are in the wheelchair space). Basically, there was a lot that I was worrying about! In the end though it wasn't as bad as I expected, I was lucky to get a lovely driver both times and when parents with prams did appear the driver made sure I got on the bus first. Getting into the wheelchair space wasn't too hard either, my choice of getting a midwheel drive powerchair with a small turning circle benefited me a lot when navigating the bus. My Mum came with me for the trip just so I could get used to it but I think I'm already confident enough to get the bus on my own! Now I've mastered the bus I really can go anywhere on my own! I feel so free and independent when I use my powerchair, it really is the best feeling in the world. I still have to be pushed in my manual sometimes if I'm going out with family in the car but I don't hate it as much anymore as I know when I get home if I wanted to I could go anywhere I wanted and be in full control. Going into town and browsing shops is so much better when I don't have to direct someone and tell them to stop all the time, shopping becomes a pretty unpleasant experience when you aren't in control so I can't wait to have a proper shopping trip on my own. I feel like I always saying this but really I cannot say thank you enough to everyone who donated and shared my gofundme page, I'm not exaggerating when I say that this powerchair really has changed my life. Yay such a positive post :) Independence is the best !! 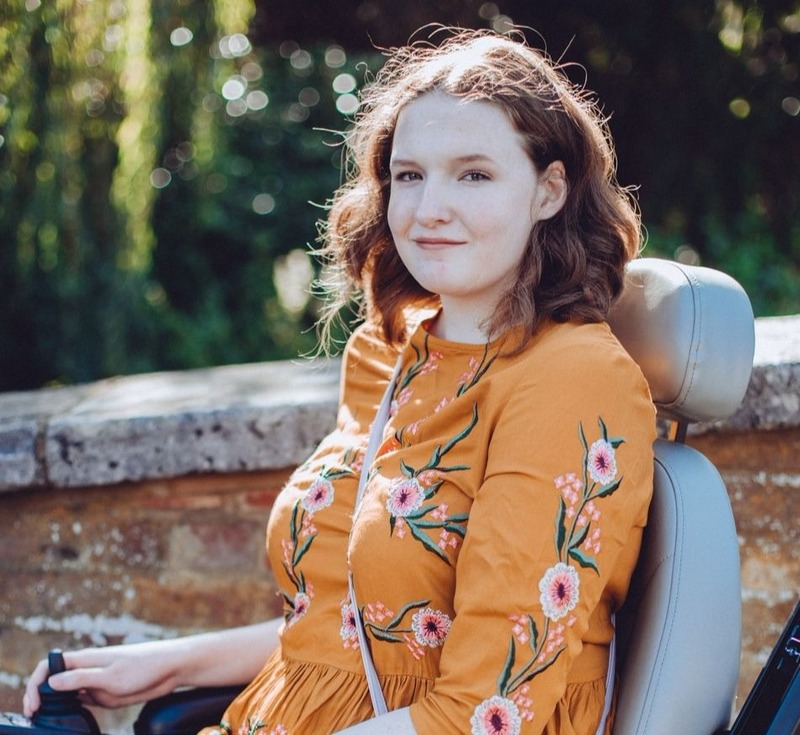 I'm SO happy for you Shona :) I can also understand why you might feel nervous about doing certain things at first but I'm really glad you feel confident enough now to do things like get on the bus on your own, you deserve to have the independence and freedom to do what you like - it's great that your power chair helps you have that! My mum has fibro (amongst other stuff), and I know how much she values things that aid her independence.